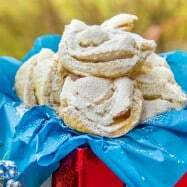 These Meringue Cookies are worthy of being on the Christmas cookie list! 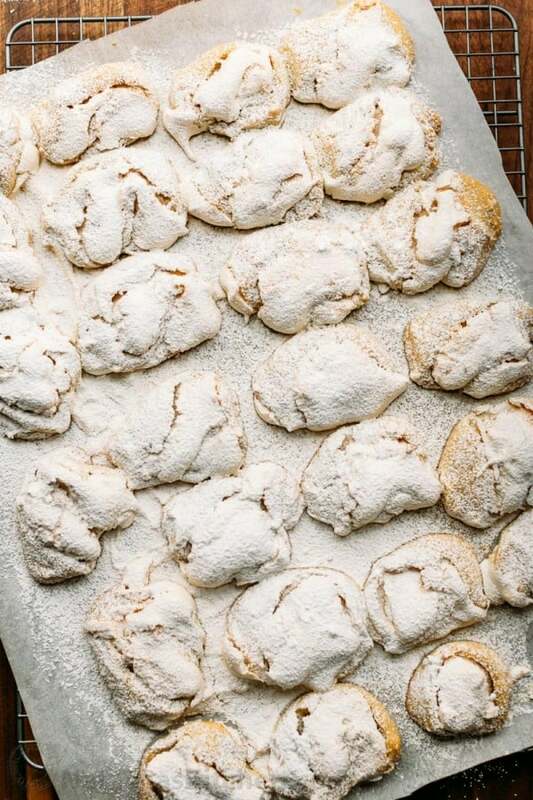 They are soft, chewy and crisp with the meringue weaved in. Beautiful and delicious! 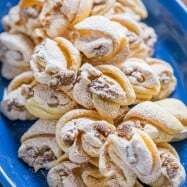 These “Finnish Meringue Cookies” were shared with me by one of my readers, Vika, a few years ago and it has become a reader and family favorite. 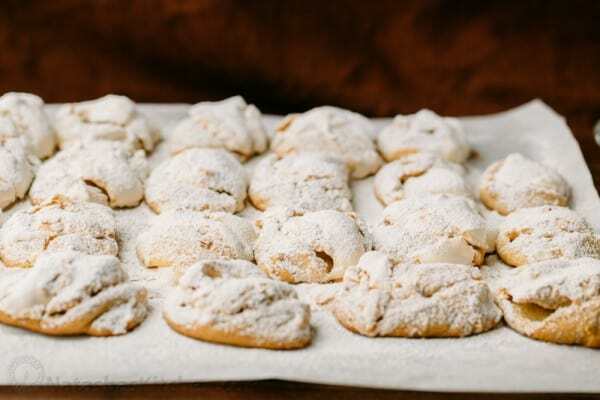 The original recipe has 23 5-star reviews and I’ve had several requests to make a video tutorial so here it is – see I made meringue Christmas cookies for you all! I am so nice ;). 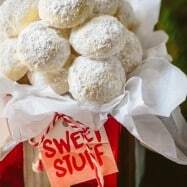 These are great holiday cookies but we make them throughout the year. I always get recipe requests when I make them. I’m so embarrassing :-O, although my husband and I had fun filming this video ;). And cooking should be fun, not too serious or boring! This new video format we’ve been doing is completely practical – otherwise it would be hilarious and distracting to hear baby chatter and hot wheels car wrecks in the background. We hope you enjoy our videos and if you have any suggestions for future video recipes, let me know in a comment below. We’re excited about bringing you more videos in 2016. Click here to subscribe to our cooking channel and be the first to see our videos! 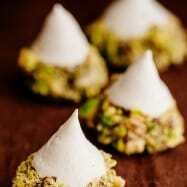 I hope you enjoyed this video recipe for meringue cookies. 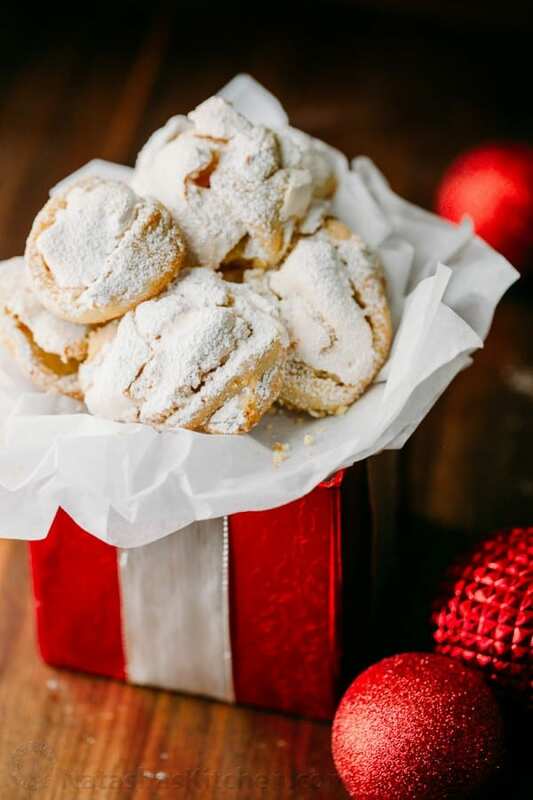 Your assignment: crank up the Christmas tunes and bake these cookies! I’m soooo excited! It’s nearly Christmas! We’re heading over to Mom’s Christmas Eve for Dinner and the kids are opening gifts from our family’s “secret santa” exchange. Christmas morning we get up early, head to church, sing our hearts out and come back to Mom’s for lunch. I hope you all have a beautiful and memorable Christmas! 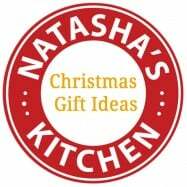 If you cook anything from our blog, tag me #natashaskitchen so I can see your delicious creations! What does Christmas look like at your house? 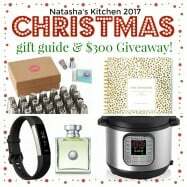 2017 Holiday Gift Guide + $300 GIVEAWAY! I was wondering if I could double up this recipe to make more? Or is it better to make one batch at a time. One of my co-workers requested 100 of these for his christmas party!!!! So, I made 5 batches of these! They turned out prefect! I made one batch at a time which took about 2.5 hrs. To serve, I placed each cookie individually into a white paper cupcake cup. I usually do this when I take them to any gathering. I also placed them into a large disposable foil pans, 2 layers in each, and separated the layers with parchment paper. I’m waiting to hear back if they were a hit at the party😁. Hi Natasha, I was wondering,could you do this without the paddle attachment,as I only have a hand mixer and it only has a whisk attachment. And also is it too sweet? I like this video format. you are funny Natasha! !